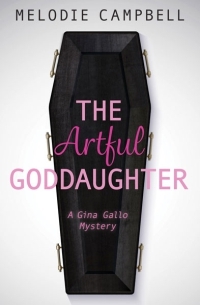 Things are looking up for mob Goddaughter Gina Gallo in smoggy Steeltown. She stands to inherit two million bucks from great-uncle Uncle Seb, a master forger. But there’s a catch: first she must return an extremely valuable Kugel painting to the City Art Gallery. If she can’t do it, then her rat-face cousin Carmine gets the boodle.